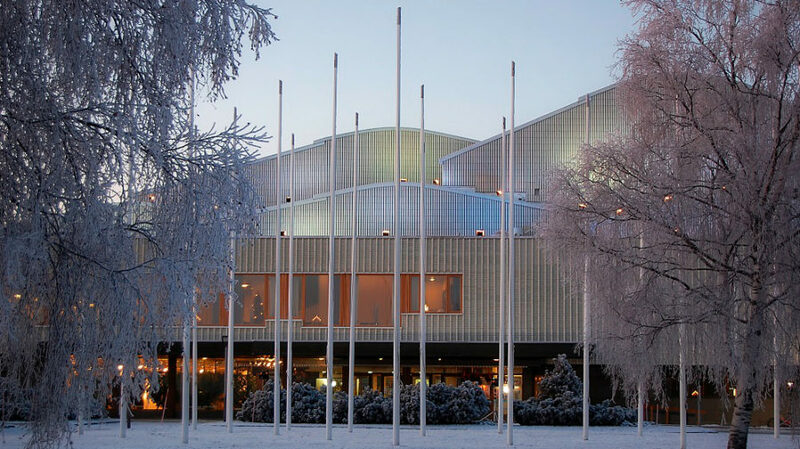 The Rovaniemi Theatre – Regional Theatre of Lapland offers a wide range of different performances, with its speciality being local themes. Each year theatre-goers can choose from around 230 theatrical performances including children’s theatre and musicals, classics and new works, comedy and drama. Many of these are based on the written works of Lappish writers and northern themes. Participation in theatre performances is possible in the Lappia House in Rovaniemi and with the Regional Theatre of Lapland this is also possible in other Lappish municipalities. In addition to these, Rovaniemi Theatre provides services and venues for arranging events, training for working communities, as well as workshops for adults, children and young people. Artistic director of the theatre, Kari Väänänen, wants his theatre to convey messages about people to the people. “We strive to provide theatre from people, to people, and about people. In my opinion we have achieved our mission when theatre-goers leave us laughing their heads off or crying their eyes out after hearing tales about people. And they leave with a sense of insight into their own lives. The theatre-goers feel they have improved self-understanding and an enhanced understanding of others, as well as discovering ways of coping better in life.”, says Kari Väänänen. More details about opening hours	Lappia House is open Tue to Fri 1 pm to 5 pm, Sat 11 am to 1 am and 1 hour before the show. Price information	Please contact us via phone or email for bookings.